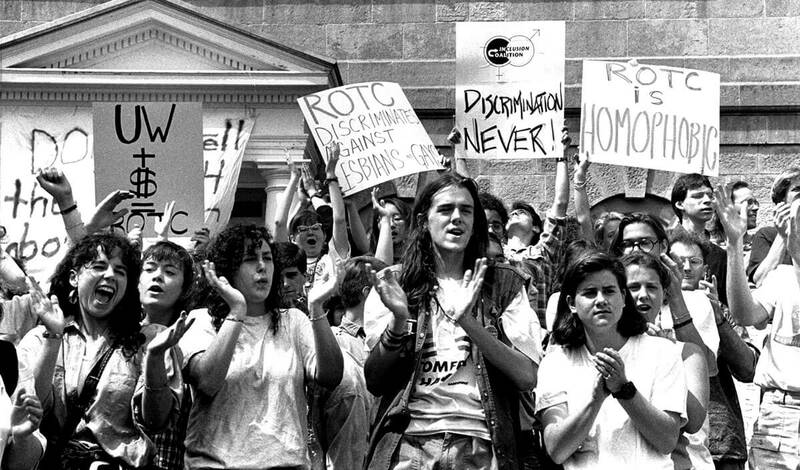 In April 1990, students began a nearly weeklong sit-in outside then-Chancellor Donna Shalala’s office, after she refused to include a disclaimer on school documents calling attention to the ROTC’s ban on gays and lesbians. Shalala and the board of regents supported ending the ban, but rather than kick ROTC off campus, chose to lobby Congress to change the policy. Many colleges reinstated ROTC programs after President Obama signed legislation that repealed the military’s “don’t ask, don’t tell” policy in 2011.